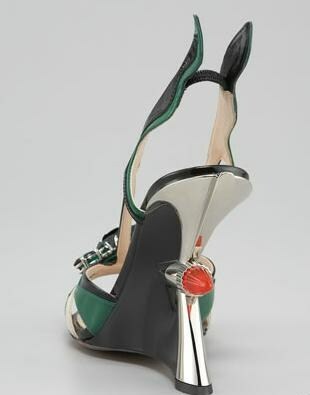 Prada jewel-toe taillight wedge sandal, slingback strap with flame detail, jeweled rose ornament at open toe, with taillight detail. © 2010-2017 FASHION OBSESSION, ALL CONTENT ON THIS WEBSITE IS PROTECTED BY COPYRIGHT. Simple theme. Powered by Blogger.